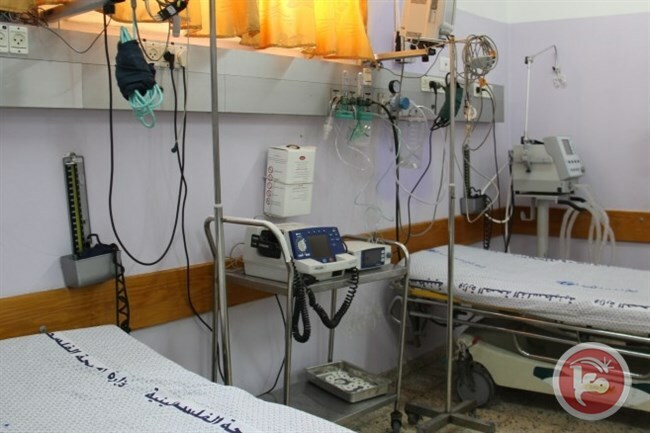 GAZA (Ma’an) — Health services in a children’s hospital in Gaza will be suspended for more than a day due to a lack of fuel to power its generators, the Ministry of Health of the besieged Palestinian enclave said in a statement on Wednesday. The ministry said that the al-Durrah children’s hospital would be out of commission for 27 hours due to the power shortage, adding that other hospitals across Gaza faced similar risks. It further warned of the terrible consequences of a lack of fuel on the lives of patients dependent on electric and electronic equipment. Even at full capacity, Egyptian and Israeli electricity grids, together with Gaza’s sole power plant, fail to cover the Gaza Strip’s energy needs and only provide energy to Gaza’s inhabitants for eight hours each day. The Israeli blockade, which limits the amount of fuel allowed into the Palestinian territory, has also impeded the capacity to repair Gaza’s damaged infrastructure in the wake of a devastating Israeli offensive in 2014. Gaza’s power plant has not run at full capacity in years, as the enclave has experienced severe electricity shortages over the years, exacerbating already dire living conditions in the small Palestinian territory, leading the UN in 2015 to warn that Gaza could be “uninhabitable” by 2020. Meanwhile, the World Bank said on Wednesday that the lack of electricity access was severely impeding infrastructure projects to address the Gaza Strip’s “alarming” access to clean water.